It’s time for Philly to have a talk about our public spaces. 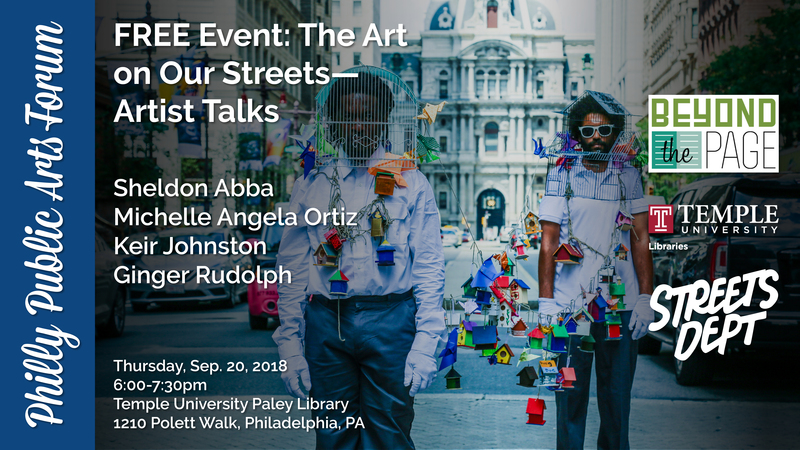 So excited to announce the Philly Public Arts Forum, a series of three free events from September 20th through October 3rd aimed at exploring the state of art in Philadelphia’s public spaces, organized by Streets Dept’s Conrad Benner (aka me) and Cindy M. Ngo (of Eat Up The Borders) in partnership with Temple University Libraries to be hosted at Temple’s Paley Library! 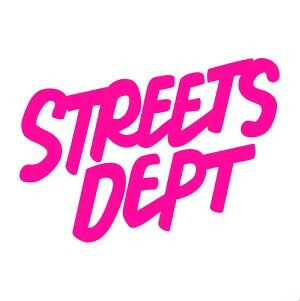 Participating artists and leaders include: Sheldon Abba, Michelle Angela Ortiz, Keir Johnston (of Amber Public Art), Ginger Rudolph (of HAHA x Paradigm), Marisa Velázquez-Rivas, Russell Craig, Carol Zou (of Asian Arts Initiative), Luis Marrero (of Voices in Power), and Blur. 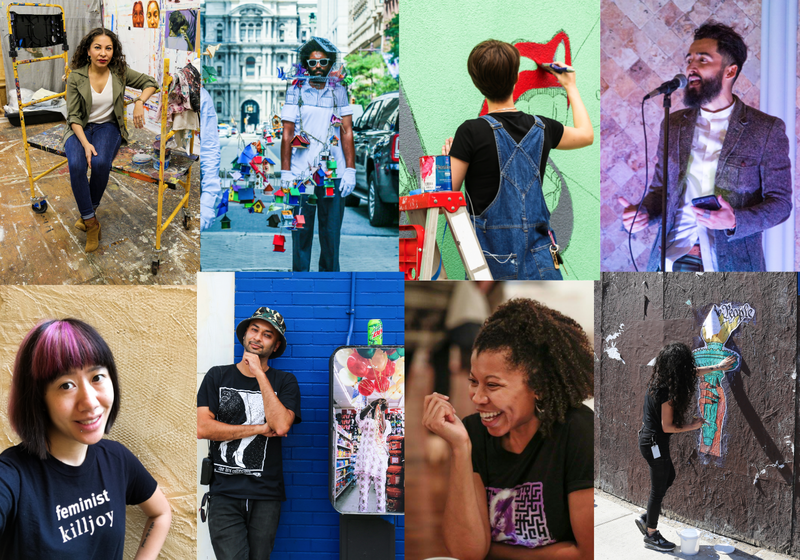 WHAT: We’re building a temporary freewall on Temple University’s campus, and in this workshop you’re invited to help us kick it off! 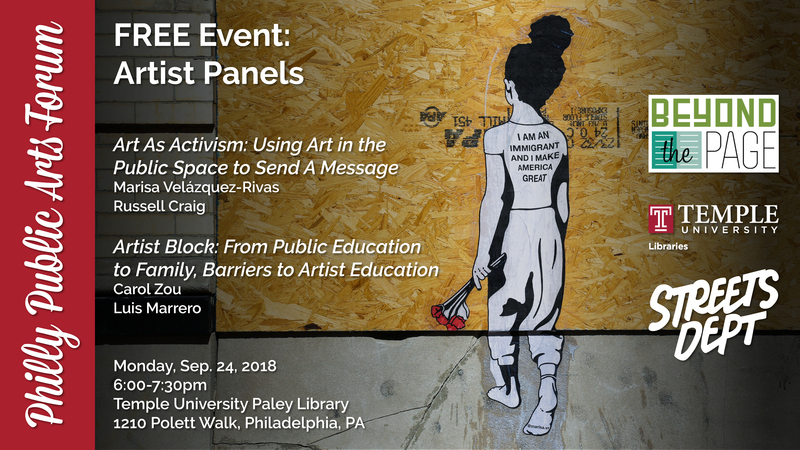 Join Philly street artist Blur and poet and organizer Luis Marrero (of Voices in Power) to get some tips on writing, creating, and wheatpasting your own art (supplies will be available.) 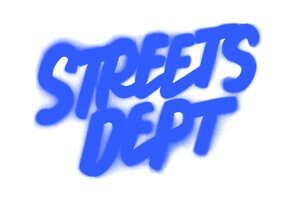 We’ll be pasting up all the work on our freewall together at the end of the workshop.